There it was, my first letter in the mailbox. I had waited on a package of contact lenses from Ireland. (Other people would get Lyons Tea and Cadbury’s Dairy Milk and Tayto Crisps, not me!). It was approaching the 3 week mark and I was getting concerned. To familiarise you, in Banff, my mailbox is not outside my house. Nope, Postman Pat doesn’t deliver here. We have to set up a Post Office Box at the Post Office. Banff is small, it’s a ten minute brisk walk, but still, when you decide to go to check for mail and all you get are Safeway promotions and applications for credit cards, it does get dispiriting. This morning, I turned the key and there, sitting in the tiny square space was a brown envelope. I knew it was from home, we rarely have the normal white envelopes in stock. My heart soared taking it out, and there, tucked in behind, was the notification to collect the package at the counter. I wondered whether I should wait until I got home to read my letter, but I was already opening it. Seeing Mum’s handwriting brought a tear to my eye, a rush of love into my gut and an overall sigh of happiness. She told me about the football final (we lost), the sick and ill, my sisters’ upcoming interviews: the regular news from home. With it was a letter from my niece. She is 4, so I imagine an aunt was putting her thoughts in writing, but the picture of her and her nearly 2 year old sister was definitely all hers. She even included a rainbow and a rosebush. “With all the fancy phones you don’t seem so far away”. Yet, there is something very special about getting a letter. A letter takes time and thought: it can’t be written quickly like a text or even an e-mail. Once written, you have to find the envelope. Then comes the part where my good intentions fall down: you must remember to go on one’s errand to the Post Office and mail it. Receiving a letter that is not a bill, a “vote for me for President” flyer or your supermarket’s upcoming sales is a gift like no other. It takes seconds to open the envelope and pull out the letter yet the feeling of excitement lasts for hours, like a child opening her gifts at Christmas. I don’t want to go back to before the internet, before texting and mobiles (or cells, as I need to say here). 3 weeks is far too long to get urgent information and I like knowing right away about the game, the interview, the dinner, or to text a photo instantly of the thing that just says “Saw this and thought on you”. For other things, a timely, measured letter is perfect. It gives you time to say what is important. It says “I thought on you for longer than an instant and decided to take time out and get this to you”. It says “what I really wanted you to know is..”. 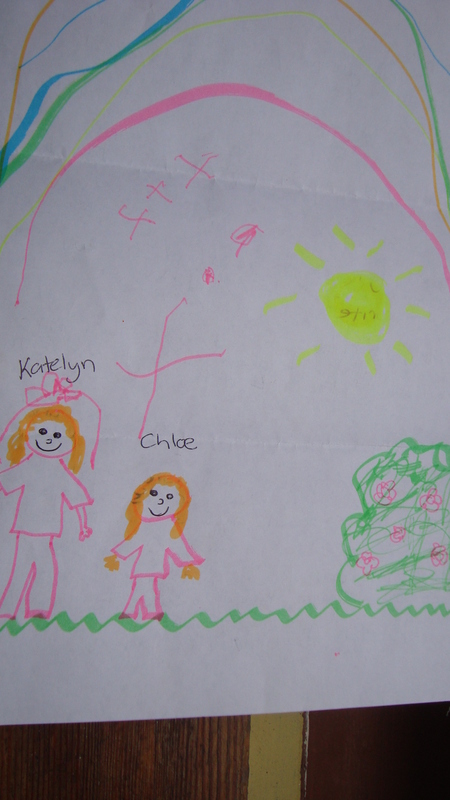 In an envelope, you can get your niece’s drawing, not just a copy. I love letters; writing them, receiving them. A letter can be more meaningful than a massive gift. More importantly, you don’t have to wait for an occasion. A letter makes my walk to my mailbox worth it.